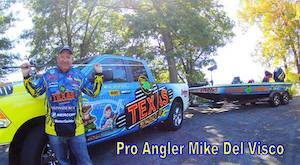 We welcome all Northeast area fishermen, hunters and outdoor enthusiasts to come to the show. We encourage you to bring your families along as there are plenty of things to do for all ages! 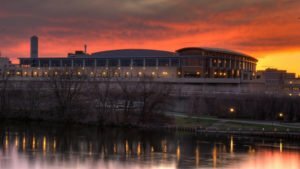 Below are some quick links to helpful show information. Steeped in tradition since 1997, our show is the ONLY proven show in Connecticut that consistently draws more than 12,000 outdoor enthusiasts. Our extensive marketing campaign ensures that we’ll continue to attract showgoers at consistently high levels! We’d love to learn more about you and your product / service. If you’d like to learn more about becoming an exhibitor at the show, visit our Interested in Exhibiting page. As a sincere thank you to those who have / are serving our country, we designate the Saturday of our show as Veterans’ Appreciation Day! The first 200 U.S. veterans or active military in line will get free admission with a valid military or veteran association-issued ID. No online tickets sales for this event. Cash only at the box office. Admission price includes the 10% state amusement tax. Click here for interactive directions! Our show offers more FREE product giveaways than any other show in the New England area! Check out the details below! Join us on Friday and be among the first 50 people in line at the show’s main entrance to receive a free bag of lures, courtesy of our friends at Stanley Jigs / Hale Lures and Al Gag Lures! 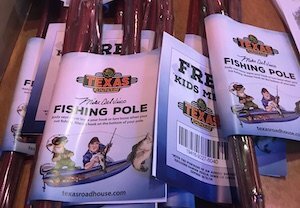 1st 200 kids in the show receive a FREE Cane Pole & meal card to Texas Roadhouse, courtesy of Mike Del Visco & Texas Roadhouse! Be among the first 50 people in line at the show’s main entrance to receive a free bag of lures, courtesy of our friends at Stanley Jigs / Hale Lures and Al Gag Lures! Thank you to our sponsors who help make this show possible!